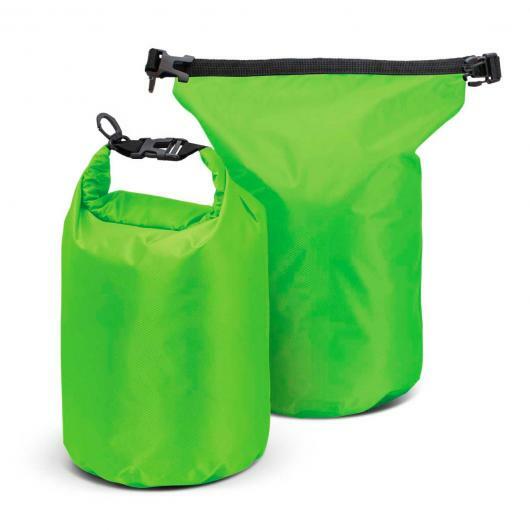 A custom printed 10 litre dry bag with your logo or message! 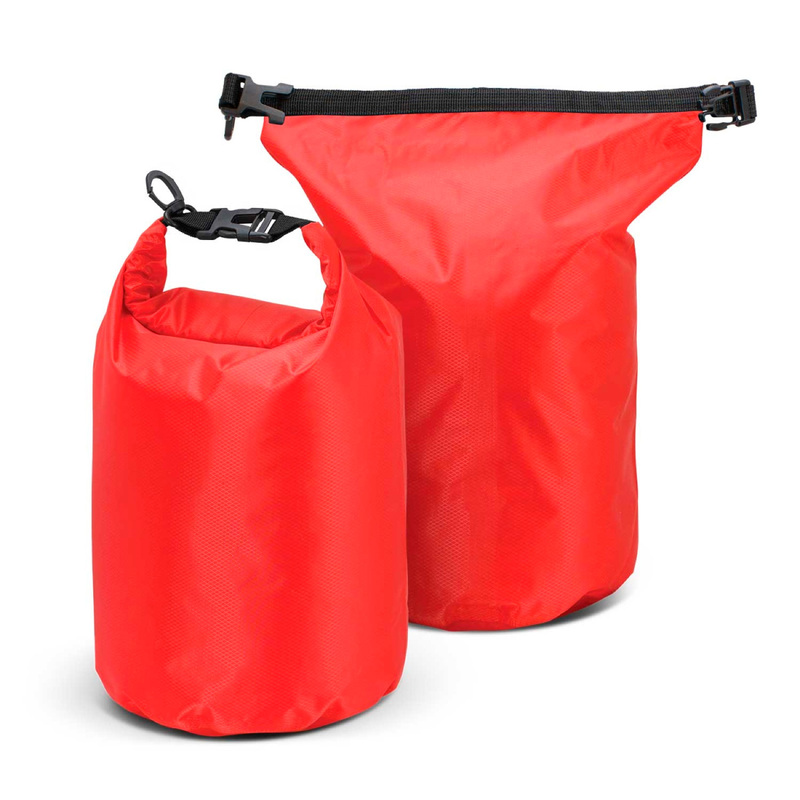 If you're out near the water, you will want to have one of these dry bags handy. They have heat sealed water proof seams and are made from touch 210T laminated nylon grid cloth. 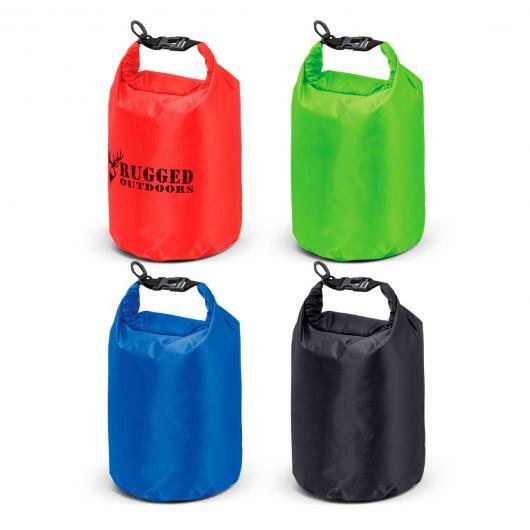 They have 4 colour options available and feature a print of your logo or message! To use simply roll down the top closure several times and close it up with the snap lock for a waterproof seal. Great for holding valuables as well as electronics.